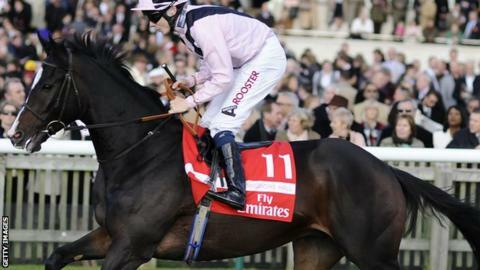 Wigmore Hall has been put down after pulling up injured at Doncaster. The Irish-bred gelding, who has won over £1m for owner Mark Hawtin, was having his 42nd career start in the 16.25 BST handicap. Wigmore Hall faltered three furlongs out in the 1m 4f contest and was soon pulled up. His trainer Michael Bell told the Racing Post: "He will leave a huge hole. I have spoken to the owner and he was obviously very upset." The seven-year-old was a dual Grade One winner, having twice been victorious in the Northern Dancer Turf Stakes in Canada under Jamie Spencer. He was one of Newmarket's most widely travelled horses - racing in seven countries - and ran 16 times at the highest level to earn £1,334,814.